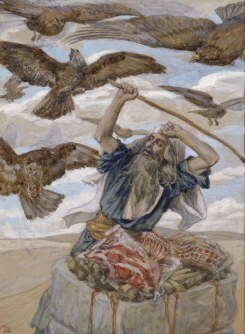 Weinfeld compared the Abrahamic promises that prompted his emigration from Mesopotamia to Canaan with the similar destiny prophesied for the legendary Trojan hero Aeneas at the outset of his travels: much as the descendants of Aeneas would someday found Rome (Homer, Iliad 20.307; Virgil, Aeneid 3.97-98), so Abraham’s descendants would become a great nation and rule many peoples (Gen. 12.3; 17.5; 27.29). I took the bait and the following post is an outcome: Weinfeld’s points of comparison between the biblical narrative and the Aeneid. Weinfeld’s proposed explanations for the similarities follow. “An important theme in the Aeneid is the tension between Rome and Carthage. 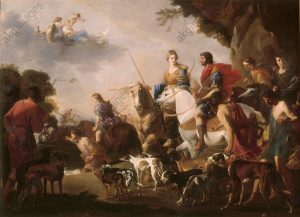 There is a danger that Aeneas will marry Dido, the queen of Carthage, and thus that the message of Latium could fail; the gods of Aeneas, therefore, work to bring the hero back on track toward Rome. “Mercury, the messenger of the gods, is sent by Jupiter to warn Aeneas not to forget the promise that his mother, Venus, had held out for him, and to urge him to sail at once to his destined land (4:219–37). “A similar situation may be discerned in the Jacob stories. There is the danger that Jacob will stay in Aram Naharaim, where he journeyed to flee from his brother Esau and to marry Laban’s daughters. Had he stayed, he would have abandoned his mission to the promised land. Finally, his son Ascanius reaches Lavinium, and later his son gets to Alba-Longa. His descendants reach Rome, which is destined to rule the world. He reaches Canaan, the Land of promise, out of which his descendants will rule other peoples. Jupiter tells Aeneas (1:270f.) that 333 years will pass before the birth of the twins — that is, before the foundation of Rome. 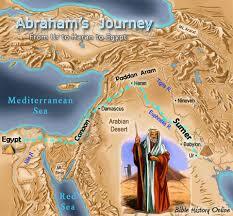 God tells Abraham that 400 (or 430) years will pass before his descendants will inherit the promised land (Gen. 15:13; cf. Exod. 12:41). 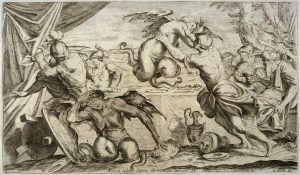 Weinfeld treats the older Romulus story as basically a Latin account, while the Aeneas version has its source in the writings of the Greek poets; during the course of the third century, the Aeneas and Romulus legends began to be combined, and to fill the gap after the supposed landing of Aeneas, a long Trojan dynasty was invoked. According to Weinfeld, a similar situation is encountered in ancient Israel: the birth of the nation is traditionally set in the Exodus and the conquest of Canaan, but the remote ancestor of Israel was sought in Ur and in Aram Naharaim. The Romans adopted the Trojan Aeneas legend from the Greeks, as has been demonstrated by the artifacts from Etruria and by the adoption of the Trojan Penates “The Genesis traditions about the nomadic ancestors of Israel in the Syro-Palestinian area, as well as the traditions about their El-worship in Canaan, seem to have been adopted from peoples who lived in the region before the settlement of the Israelite tribes. . . . The Pentateuchal traditions themselves attest that the Patriarchs did not know Yahweh, the name of the national God of Israel (Exod. 6:3 f., cf. Exod. 3:13–15). When Aeneas was endangered by the sea storms Venus intervened on his behalf and prayed to Jupiter: “O you . . . who [rule] the world of men and gods, what crime . . . could my Aeneas have done. . . . Surely it was your promise . . . that from them the Romans were to rise . . . rulers to hold the sea and all lands beneath their sway, what thought . . . has turned you?” (1:229 f). When Jacob is endangered by the threat of Esau’s advancing army, he prays: “Save me from my brother Esau; else I fear he may come and strike me down . . . yet, you have said . . . I will make your offspring as the sand of the sea” (Gen. 32:12–13). Abraham is described as God-fearing (yr’ ‘lhym[*] , Gen. 22:12), “walking before the Lord” (24:40), and “listening to his voice” (22:8; 26:5; cf. 17:1), much like David, who is depicted as “walking before God with righteousness and perfection” (1 Kings 3:6; 9:4; 14:8; 15:3; cf. Ps. 132:1; 2 Chron 6:42). It was these moral-religious qualities that made Abraham and David worthy of God’s promise for land and kingdom, respectively. Both promises—and only these promises—are defned as hbrytwhhsd[*] “the covenant of grace.” Furthermore, in connection with the promise of descendants we also fnd identical phraseology not attested elsewhere: “One of your own issue,” ‘sr ys’ mm’yk[*] , in 2 Sam. 7:12 and Gen. 15:4. The considerable overlap between the two fgures has been noted, and, as I have suggested elsewhere, Abraham the warrior in Gen. 14 behaves quite similarly to David the warrior in 1 Sam. 30. 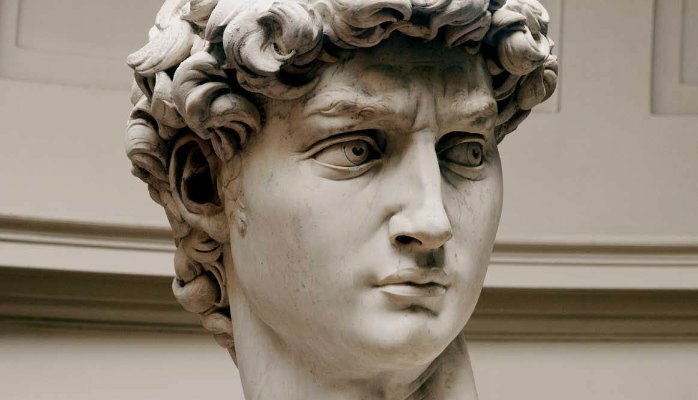 The suggestion that Abraham is a retrojection of David seems quite plausible, therefore. Like the Abraham-David imagery in Israel, the Aeneas-Augustus imagery in Rome reflects a later stage of the crystallization of the story. As is well known, the Abraham cycle in Genesis represents a later stage than the Jacob cycle, which appears to be closer to the original tradition and less fragmentary than the Abrahamic stories. The Jacob stories contain motifs that are even closer to the foundation traditions of the Greek-Roman world. 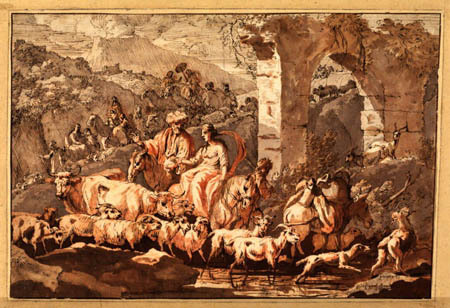 In the journey of Aeneas to Latium the household gods (who act as guardians) play an important role. They appear in the accounts of Hellanicus (fifth century B.C.E. ) and Timaeus (third century B.C.E. ), and Virgil indicates that bringing the gods to Italy is the purpose of Aeneas’s journey (1:6): “Till he should build a city and bring his gods to Latium” (1:5–6). On an Etruscan amphora of the fifth century B.C.E. next to Aeneas is the figure of his wife, Creusa, carrying a cushion with stripes, which apparently contained these sacred household gods. Rachel, Jacob’s wife, takes with her the household gods in order to bring them to the new land (Gen. 31:19, 34). Josephus adds that it was the custom to take along these objects of worship when going abroad (Ant. 18:344). That household gods were kept in something similar to a cushion may be deduced from the fact that Rachel hid them in the cushion of a camel (Gen. 31:34): the cushion of the teraphim could be mistaken for the riding cushion of the camel. In the Aeneas tradition, we find that six hundred men took care of the gods in Lavinium (Dionys. Hal. 1:67:2). In Judg. 18:16 we find that six hundred Danites guarded the men who took the teraphim. The tomb of the hero played a very important role in the Greek world; a tomb of Aeneas, is mentioned by Dionysius of Halicarnassus (1:64:3) as existing in his own days in Lavinium. According to the Jacobic cycle, Shechem was the foundation city where the ancestral gods were hidden and was also the location of Jacob’s and Joseph’s tombs (Gen. 50:5; cf. 33:19; Josh. 24:32). How do we explain these common features in two works of literature created hundreds of years apart and reflecting two entirely different cultures? Weinfeld interpreted the similarities through similar political situations: comparing, for example, the newfound prominence of the kingdom of David with the new order initiated by Augustus. He also adhered closely to the documentary hypothesis as it explained the development of the biblical narratives and accordingly interpreted various contradictions within these traditions as evidence of attempts to combine into a single narrative both various local and foreign traditions. 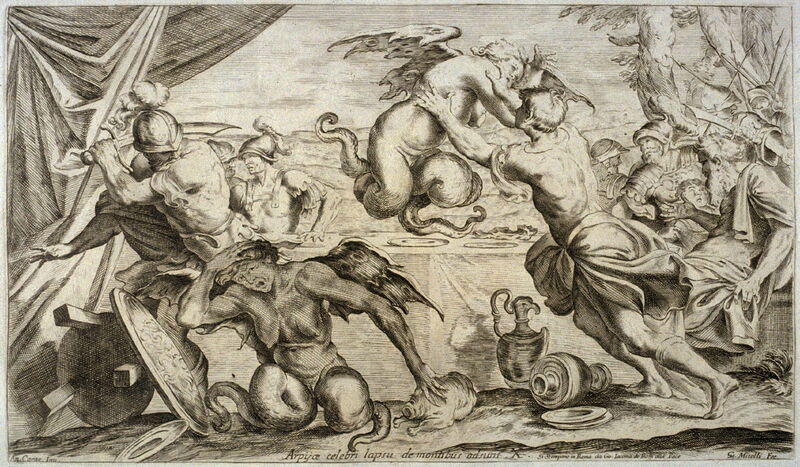 Similarly, he saw contradictions within the Latin mythical narratives as evidence of past rival traditions. I suspect since Weinfeld’s time there may be some scholars who would prefer to see the biblical narrative as cut from the cloth of foundation narratives originating from the time of the classical and Hellenistic Greeks. That certainly appears to be Gmirkin’s thesis. Weinfeld, Moshe. The Promise of the Land: The Inheritance of the Land of Canaan by the Israelites. Berkeley: University of California Press, 1993. Posted on 2017-07-29 12:44:09 GMT+0000 by Neil Godfrey. This entry was posted in OT Archaeology & Literature and tagged Foundation myths, Gmirkin: Plato and Creation of Hebrew Bible. Bookmark the permalink. I do not recall if I clarified in the post that Weinfeld does not suggest a borrowing of the Greek myth by the biblical authors: rather, he believes the best explanation was that both epic tales originated in a common literary genre of some sort. Though of course some “minimalist” arguments since then, and Gmirkin’s work in particular, would argue for a direct Greek influence on the biblical writings. I’m sorry if my personal doubts about the comparision seems to disrespect your post. That was not my intention. My own impression is that in some early Jewish writings are very unique themes, patterns und styles which cannot traced back to Greek literature. It may be that I’m simply more interested in the differences than the similarities. Please don’t apologize. You expressed a common criticism of this sort of discussion and I’m glad you raised it since it gave me an opportunity to reply with my own thoughts to the contrary. All is good. I appreciate the exchange. Thanks. I think that one of the decisive significant differences between Genesis and Greek epic poems is indeed style. Even after 50 years his “Odysseus’ Scar” seems intriguing to me. It’s an interesting question and I should revise my Auerbach, too. What about the stories of Joseph and then of David and Saul, though? Do you think A’s style criticism works with those two narratives? I have read a few works comparing Herodotus’s Histories with Primary History and one difference pointed out is the absence in the Hebrew texts of a personal narrator. The narrator’s voice comes through directly and personally in much of the Greek literature, but is strikingly absent in most of the Hebrew works. If that is the real difference of significance — the narrative voice and intrusive commentary — then I wonder if we might be looking at Greek/Hellenistic literary influence but adapted to the impersonal narrative style of the Near Eastern literature. But I have much more to learn about all of this. Difficult question. I would say not in the same way. I think that stories as “the call of Elisha” or “David at Nob” may be not far away from this “mysterious” Genesis style. In contrast, the style of Hannah’s song should have a few parallels in Greek literature. See How Literary Imitation Works: Are Differences More Important than Similarities? Sandmel’s discussion on “parallelomania” is a must read, as are the various works on literary criteria. I often wonder why no one is baffled by the fact that the Chaldeans lived in Ur in a time contemporary with the Babylonians rather than the Sumerians. Commentators and historians do indeed raise this anomaly. On its own it may not always be considered decisive, however, since it is the sort of detail that one can imagine a copyist or later editor at some time adding to an otherwise earlier tale. It isn’t so much what they might have added but what’s missing that’s baffling to me. The way I read it, this was originally written in a time contemporary with the Chaldeans so the use of the name isn’t out of place, but even at that time many things that were known about Sumer aren’t attested in Genesis. This is the opposite to the fact that Aeneus wasn’t fully attested until Roman tradition. The Romans built out their own tradition from threads of previous traditions, but the Hebrews either ignored or tore down previous traditions. People do this in modern times because of inconvenient facts. In the Christianity I came from, I look back on it now as if Christians were begging for biblical tradition to originate from oral tradition in spite of the fact that writing was used since before the time of the “flood”. If you make up something original that isn’t contradictory to other stories you don’t run into this sort of trouble. – I don’t think there is/was any “F. B. Schmid” who wrote about foundation myths. I suppose P.B. Schmid was meant. But even so, this remains a rather obscure reference for such an important starting point for Weinfeld’s (and subsequently Gmirkin’s) theories. 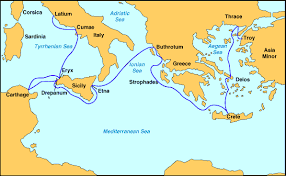 – To dismiss that “Virgil’s famous epic clearly postdates the biblical narrative and is far from likely influenced by anything in the Pentateuch” it is not sufficient to show that myths around Aeneas existed since the 7th Century BCE: the ancient Greek Aeneas stories were different from the Roman stories. Aeneas was an enemy of the Greeks, and only a minor character in the Iliad. 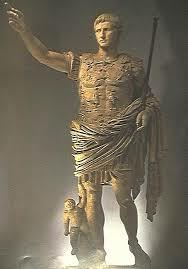 The Romans modeled themselves on a true ‘Trojan’ hero to support their perception of superiority over the Greek culture. – In these discussions, the impression is given that the Greek ‘foundation myths’ were produced by the Greeks in perfect isolation. But isn’t it more likely that the Greeks interacted with other cultures, e.g. in Mesopotamia? It is known that Greeks had contacts with Babylon, and – of course – Persia. And the Israelites did that too. Can we exclude that the parallels in the Greek and Israelite stories originate in common Mesopotamian sources? For discussion of Roman-Israelite literary interaction, see e.g. Do you have a source for “P.B. Schmid”? “F.B.” is consistently used throughout Weinfeld’s references, though of course mistakes are made by authors and machines: (even in Russell Gmirkin’s book E.N. Tigerstadt regularly appears instead of the correct E.N. Tigerstedt, with an e, not an a). In the Library of Congress name authorities and on the university’s citation page I can only see Benno Schmid. As for citing an unpublished thesis, such references are not uncommon in scholarly works. But the evidence supplied for the existence of the Aeneas story going back to the seventh century BCE was “various paintings on archaeological artefacts”. If I had access to Schmid’s thesis and could translate it I would offer more, but I am sure there must be other references extant pointing to the evidence of the paintings on (presumably) pottery. I’d be interested in seeing the details. The comparison is by no means central to Gmirkin’s thesis, by the way. In fact he mentions the Aeneid only once in the body of his text and in doing so comments on its exceptional nature in comparison with related Greek stories, and twice more in endnotes, both times in passing. I hope a post I have since published as a postscript addresses another query you and another commenter raised. Regarding the paintings of Aeneas, Weinfeld may be citing William S. Anderson’s ‘The Art of the Aeneid’. I think that these paintings mostly depict scenes from the Illiad. I have requested a copy of the electronic thesis. Maybe either the P or the F refers to a title. Will try to find out. Anderson’s book is about the literary art, not the pottery art.